What a fabulous miniature! 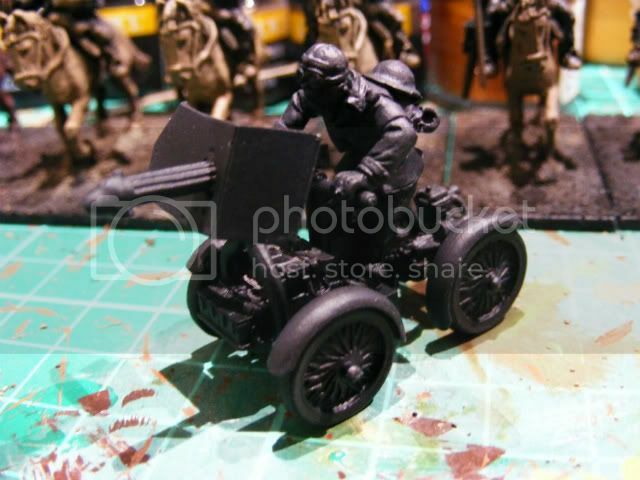 The Croydon Crusher is a motor quad bike thingy from Mutton Chop Miniatures complete with handle bar mounted machine gun! I ordered this on Thursday night and it arrived today which is excellent customer service. The casting quality is absolutely fabulous, there was virtually no flash at all. I needed to refer to the website to work out what went where but it went together in about five minutes with a spot of superglue and accelerator for good measure it was all together and ready for spraying. I'll be trying to get it painted tomorrow and will try to get some pics up. Not sure about the paint scheme though. This will be used by my British Militia so I don't want to make it too military. I'm torn between a British Racing Green or Sports Car red gloss finish. The dark grey finish on the Mutton Chops website is very appropriate to the period but a little mour dour than I think this wonderful miniature deserves! Here's the chap all undercoated and ready for painting. The rider is not glued down yet as it'll be easier to paint him separate to the quad itself. I absolutely love this range of miniatures. Among their various collections is a fantastic range designed for the Irish War of Independance and better still, 1938 A Very British Civil War. I've now collected a large selection from this range. They're really well sculpted, well cast and rather good value. They paint up really well, even with my fat fingers holding the brush. Personal favourites for me are the roller skating courier and the Royal Mail Rocket Post team. Modest Miniatures is new to the blogging world. 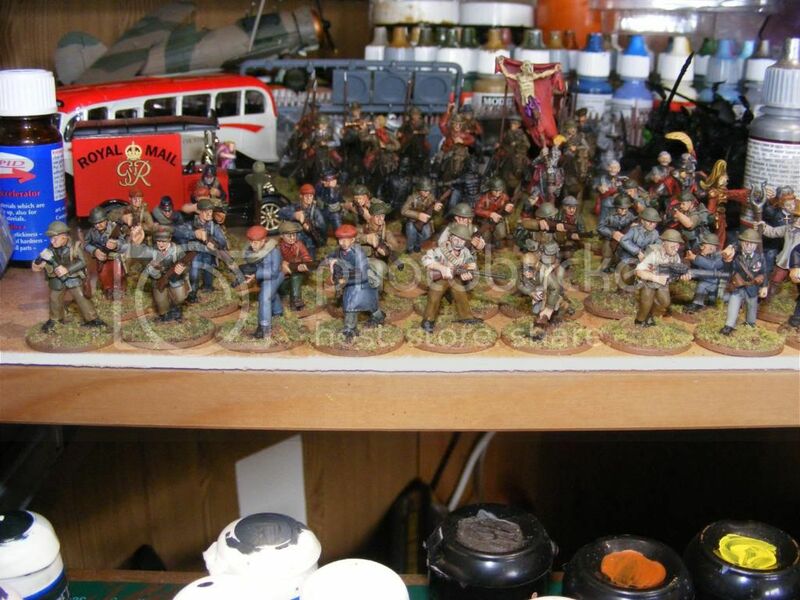 Basically a young(ish) RAF Officer has far more miniatures than his good wife is able to tolerate in a single married quarter so on occasion he is forced to sell bits and bobs to make space for the latest must have bit of white metal or plastic resin. Additionally this blog might just offer you the odd insight into things that I've found around the internet that have captured my interest and so will hopefully catch your interest too.